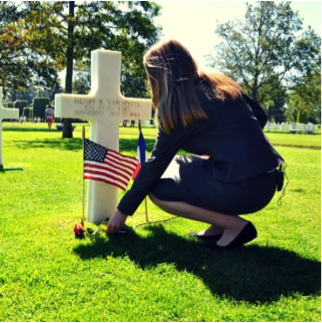 WASHINGTON, D.C. – National History Day is now accepting applications for the 2016 Normandy: Sacrifice for Freedom Albert H. Small Student and Teacher Institute. This highly competitive program accepts 15 student and teacher pairs for an immersive experience of learning both in Washington, D.C. and on the beaches of Normandy. The institute is funded through a generous donation from Mr. Albert H. Small. The institute covers all expenses for European travel, visits to historic sites, and lodging in both Europe and Washington, D.C. Applications for this competitive program are due by November 30, 2015 at midnight. All participants must apply as one team. The adult must be a middle or high school teacher or librarian. The student must be a sophomore or junior in high school as of fall 2015. All applications must be fully completed and submitted as a single PDF document. The application, and more information, can be found online at http://nhd.org/classroom-connection/normandy-sacrifice-for-freedom/.